Grab your copy of the Sydney & Melbourne Editions. 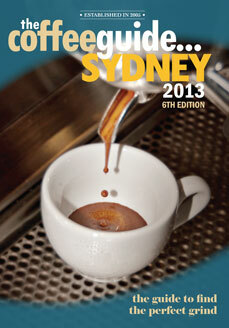 The Coffee Guide... Sydney 2013 Edition. The Coffee Guide…Sydney is back with more reviews and recommendations than ever, with over 120 cafes featured. 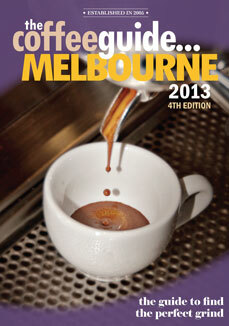 The Coffee Guide... Melbourne 2013 Edition. Find out who got a 'Five Bean' rating. The fourth edition of The Coffee Guide…Melbourne is back with more reviews and recommendations than ever, with 120 cafes featured. Along with cafe reviews and awarding our coveted Bean Rating, new accolades are being awarded such as Best New-comer, Best Menu and Best Black Coffee, to name but a few. This edition beautifully photographed, and elegantly designed. It's time to spill the beans on the best baristas in the business. Click here to purchase a multi pack of 5 or 10 books.